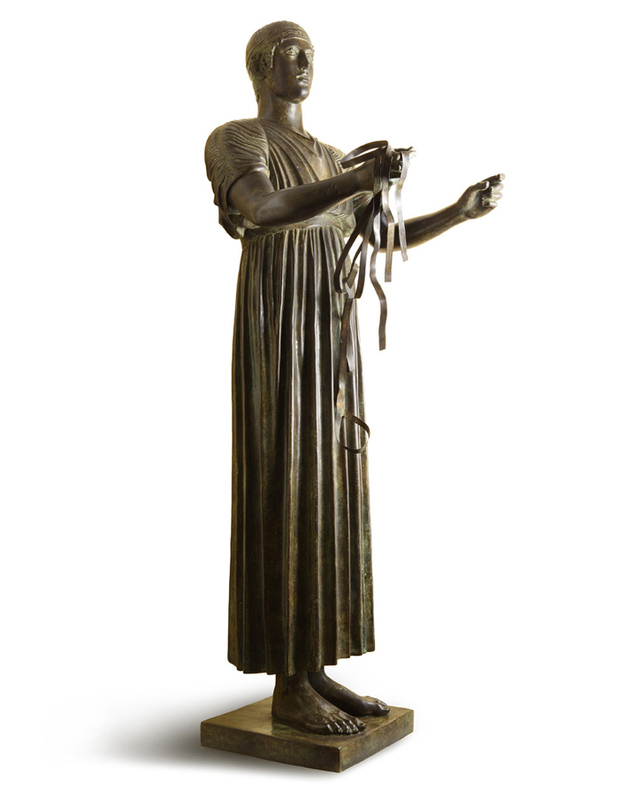 Is one of the most famous bronzes of Classical Greece, created around 475 b.C. It is in the Delphi’s Archeological Museum. The statue was discovered during the excavation of the Sanctuary of Delphi, where the oracle of Apollo spoke, and was a part of a quadriga ordered by the Gela tyrant Polyzalos di Deinomedes in 478 or 474 b.C., probably to celebrate a victory in a chariot race. The sculptor probably was Sotade di Tespie or Pitagoras di Reggio.